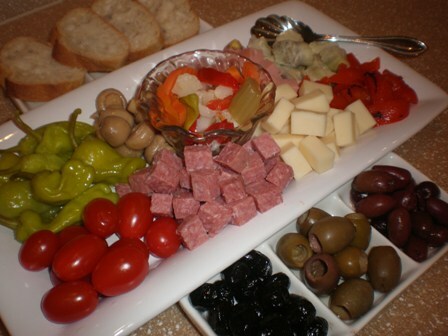 The word 'antipasto' comes from Latin and means "before the meal." It is a small snack or appetizer meant to awaken the appetite, not to satify it. An assortment of antipasti is a great way to start a meal and sometimes it can even be a meal in itself. Platters of sliced or cubed meats, cheeses, fresh and marinated vegetables decoratively arranged are also great for parties. Bruschetta may be topped with tiny bits of tomato, a spoonful of cooked beans, or any number of seasonal ingredients. Arancini can be stuffed with various types of cheese, meats,or chopped vegetables. They are served as snack food in bars and cafes all over Sicily. It's common in the US to serve cheese as an appetizer before a meal. A cheese tray with various accompaniments is wonderful as a light lunch or dinner served with wine or beer. Panella is a Sicilian savory fritter made with a finely ground flour from ceci or chickpeas. Garlic knots are a pizzeria classic. 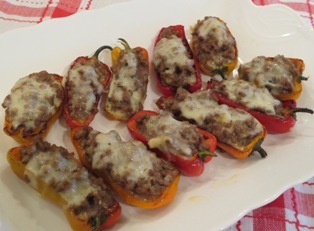 They are a nice accompaniment to soup or dip them in some pizza sauce for a snack. 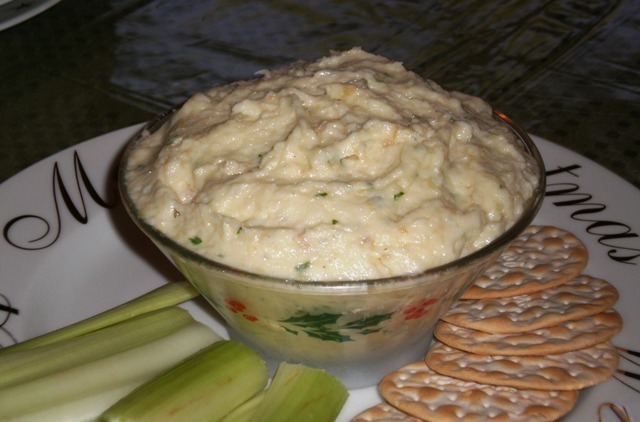 Artichoke dip is good hot, cold, or at room temperature. Serve it with crudites, chips, or pita wedges. Whether it's a quiet night with friends, a holiday open house, or a big birthday celebration, serving a selection of appetizers can be a fun way to entertain. Set up a large table or several stations throughout the house, so that your guests can serve themselves and also mingle with others. 1. 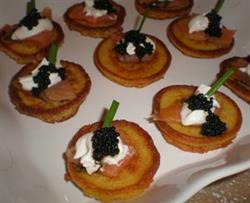 Use varying heights when serving a selection of appetizers to create visual interest. 2. Layer items (one item slightly in front of another); it encourages the eye to roam. 3. 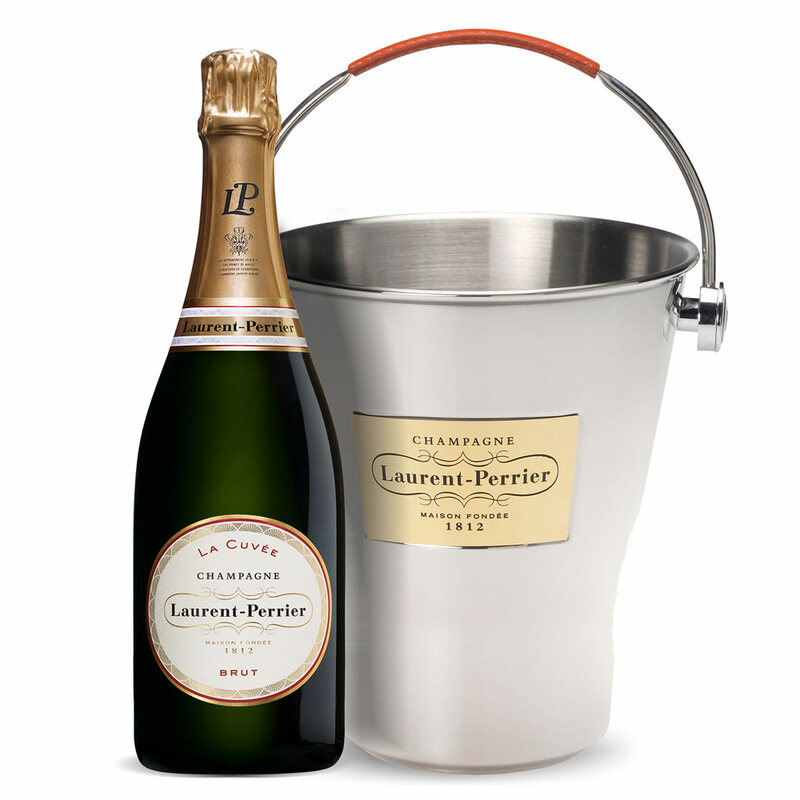 You can include decorative items alongside and between platters of food. 4. 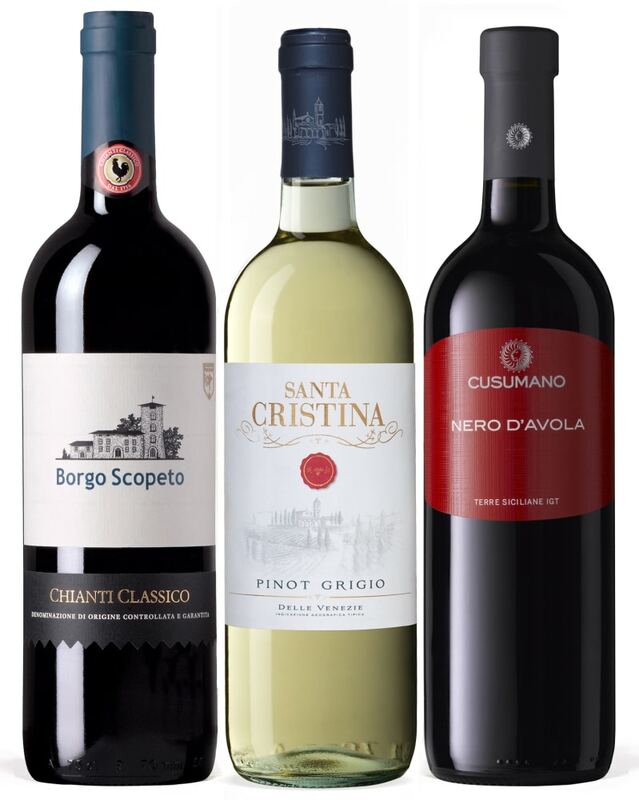 When grouping items together, use an odd number; this technique has been proven to be very eye pleasing. 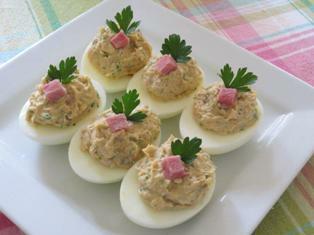 Perfect for putting out appetizers or desserts on a buffet table. 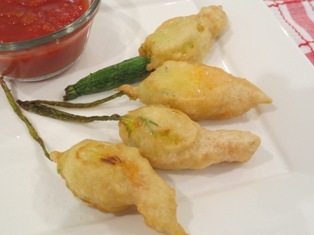 Zucchini flowers are filled with a 3-cheese mixture that is flavored with just a hint of mint, dipped in batter, and then fried. The cheese filling melts while the batter forms a light, crispy coating. 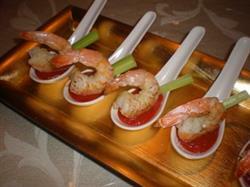 Great way to present mini appetizers, salads or desserts in little servings. Appetizers to serve as part of an Eve of the Seven Fishes menu on Christmas Eve or if you simply would like to serve a seafood appetizer any time of the year. 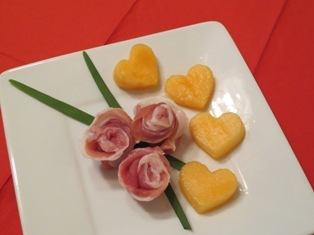 A collection of appetizers to serve on Valentine's Day or any special or romantic occasion. 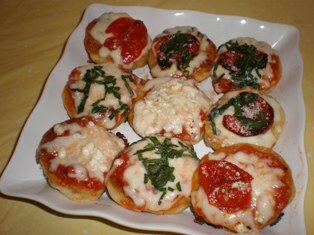 Mini skillet pizzas make delicious appetizers. Use a biscuit cutter to cut out small rounds of pizza dough. 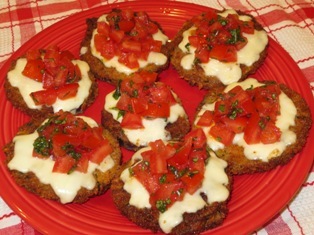 Eggplant Pizzettes are a variation of eggplant parmesan that can be served as a appetizer, snack, or as part of an antipasto platter.